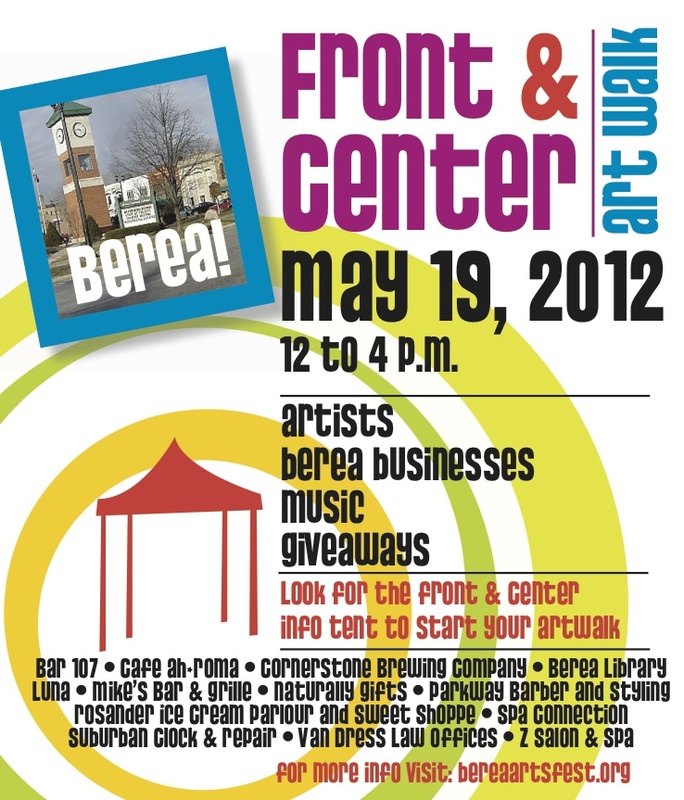 The Berea Arts Fest will begin its 2012 art season with the 3rd annual “Front & Center Art Walk” in Downtown Berea on Saturday, May 19, 2012 from 12 – 4 p.m. Enjoy local art, shop Berea businesses, hear great music, get free giveaways. Look for the Front & Center info tent to start your art walk. Have a great day in Berea! This entry was posted in Art News, arts, ohio, shows and tagged art news, arts, berea, berea arts fest, cleveland, exhibit, exhibition, free giveaways, gallery, illustration, ohio, show, travel, vacation. Bookmark the permalink.